Belgrade is the capital of Serbia and its largest city. It is considered one of the earliest settlements in Europe - according to historical sources, on this land people lived back in 4700 BC. Belgrade is situated in the north, just at the confluence of rivers Sava and Danube. It has a population of about 2.5 million people. On May 7, 1841 the town was known by that name. On December 1, 1918 Belgrade functioned as the capital of Yugoslavia. After the bombing of World War II, Belgrade was quickly rebuilt and expanded in all directions. Today, Belgrade is the capital of Serbia, which is again an independent subject of international law after Montenegro declaring independence on June 3, 2006. Today, Belgrade is a major political, financial, economic, cultural and educational center. In the central part of town is the Place de la Republique, the pedestrian Knez Mihailova Street and the bohemian street "Skadar". This street in Belgrade is a place where you can feel the historical and current cultural breath of Serbia, because here you can feel the spirit of the great Serbian poets, artists, philosophers and journalists of the 19th century. Commercial center of the town is the square Terazie (Libra). Four Sava River bridges connect the two parts of the city - old and new, known as Novi Beograd. In New Belgrade is the new assembly building, the Gallery of Modern Art, many residential buildings and stores that are built on previously barren sandy and marshy areas along the Sava River. 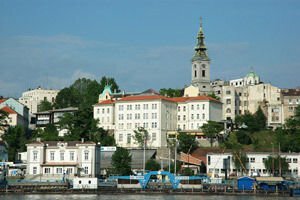 New Beograd merges with Zemun. 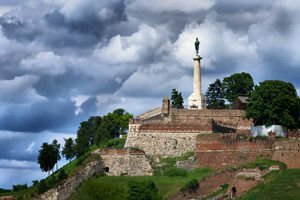 The main historical landmark of Belgrade probably remains the Kalemegdan Fortress, which is another name of the Belgrade fortress. The fortress Kalemegdan park is located above the right bank of the Sava River at the inflow into the Danube. On the walls is a beautiful view of the merger of the two water sleeves. Belgrade Fortress was officially declared a cultural monument of exceptional importance in 1979. 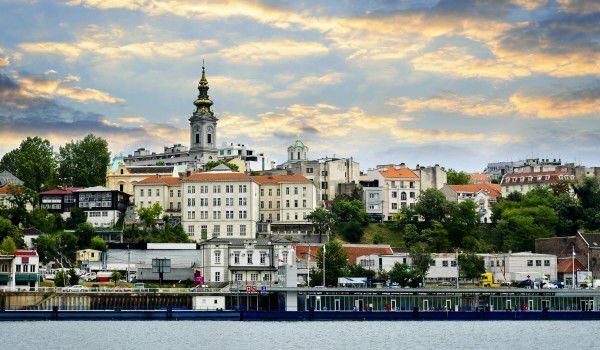 It is believed that even the name of Belgrade comes from the bright blocks of stone that were used in the construction of Kalemegdan. Particularly interesting is the castle clock- its tower was built in the 16th century. Near Belgrade Fortress, in Kalemegdan park, is located the Belgrade Zoo. St. Sava Church in Belgrade is very beautiful with its white facade. It was erected in honor of St. Sava, which is considered the founder of the Serbian Orthodox Patriarchate and is the main cathedral of the Serbian Orthodox Church. St. Sava is the largest Orthodox church in Serbia and the whole territory of the Balkan Peninsula. This temple in Belgrade is one of the largest temples in the world, and the architectural plan clearly shows the influence of Hagia Sophia in Istanbul. The height of the St. Sava is 44 meters. St. Sava Church is located on Krushedolska street 2a, which is located in the eastern part of the Svetosavski Square in Belgrade. Close to the National Library is the monument of Karadjordje, the leader of Serbs in their insurrection against the Ottoman Empire in the early 19th century. The foundations of Saint Sava were made in 1894, but only in 1926 the architectural plan of the church was approved. Consecration of the foundation is made by Patriarch Barnabas Rosich of September 15, 1935.